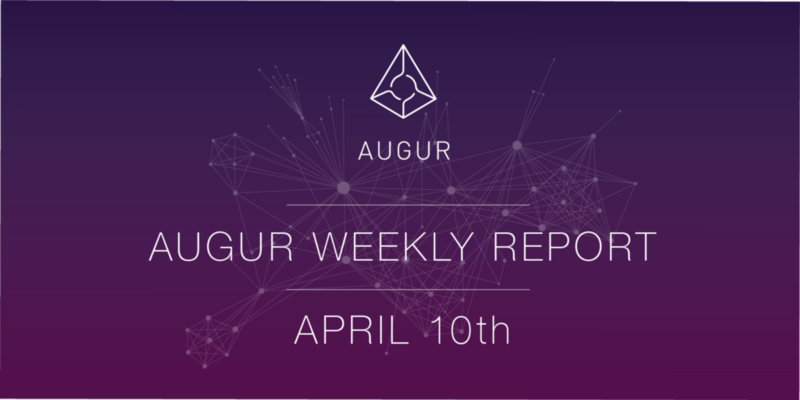 Augur.Guide is the fruit of one of the Augur Community Bounties, completed by community member Msagansk. The site serves as a user-friendly guide to the protocol, which aggregates and synthesizes information on the ways that each type of actor (trader, market creator, reporter) can use the platform. It is a community-driven effort, so submit any issues, requests, or improvements to the repo. Alpha Testnet Exchange is Live! Ahead of their mainnet release in the coming months, BlitzPredict has released an alpha version of their exchange on the Kovan testnet. Follow the link above for more information on the alpha and watch the below video for a walkthrough of the features.